You may remember, that back in November, I exhibited with the fabulous Discover group of artists. 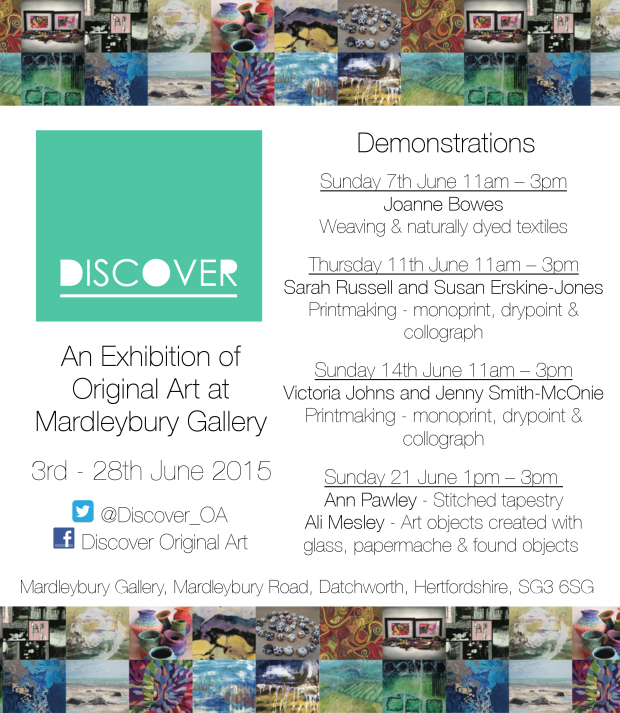 I’m thrilled to say that Discover is about to exhibit again, this time we’ll be at the lovely Mardleybury Gallery, near Knebworth, Hertfordshire, throughout June. We also have new Facebook and Twitter accounts, so I’d be enormously grateful if those of you who use these, would pop by and ‘like/follow’ us.